Remarks: Rot Gut, the guy named after cheap, terrible booze, is a repaint of Blight, whom I have previously reviewed as part of Abominus. There isn’t much I can add to that first review. It remains my favorite amidst the Beast Hunters Legion molds due to its excellent articulation and Rot Gut can easily take Blight’s place as part of Abominus if you want. The mostly green and yellow paint job isn’t exactly my cup of tea, I prefer the dark blue one of Blight, but it’s still a good-looking figure and the fact that it’s named after cheap booze is just a plus. Rot Gut was only available in Europe and Asia at the tail-end of the Beast Hunters line. I didn’t originally intend to get him, but after seeing him clog the shelves at our local supermarket for at least three months, I finally took pity on the little guy when he got his price slashed for the second time. 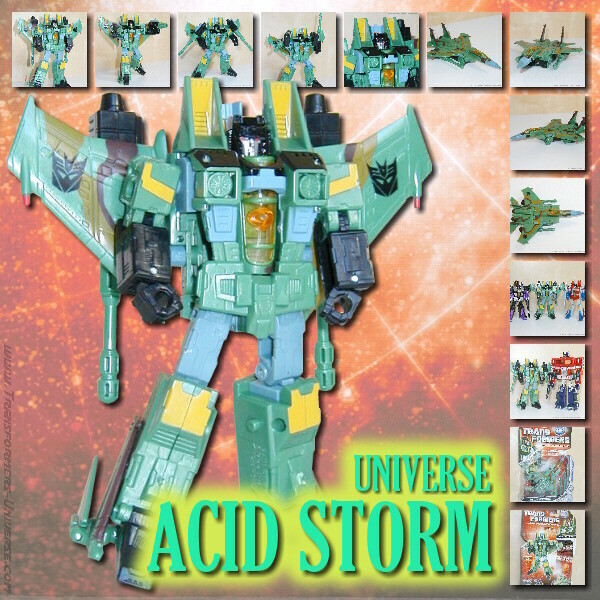 He is certainly not a must by any definition, but how many Transformers are there who are named after cheap booze (or alternatively have the ability to somehow cause the guts of their opponents to rot)? Anyway, Rot Gut is a fun little guy. Nothing more, nothing less.